Carol Schuler has the single most important skill required as a publicist: the ability to talk to anyone, anywhere, about anything. Seriously fearless, whether pitching a reporter at the New York Times, negotiating a live segment on NBC’s Today Show or working a room full of national and local reporters at a press event – Carol is in her element. A natural born publicist, Carol has scored thousands of media hits for a wonderfully diverse list of clients that includes big hitting consumer names such as Volvo, Annie’s and Room & Board to scrappy start ups and nonprofits such as Fruit Share, Mind Body Solutions and US Pond Hockey. Big or small, Carol has a nose for a story and a keen sense for who needs to hear it. Recent client publicity highlights include coverage in The New York Times, The Wall Street Journal, Real Simple, apartmenttherapy.com; and segments on the Today Show, CNN and Good Morning America. Carol’s path to public relations ultimately fueled her deep understanding and passion for working with people. Prior to moving to Minneapolis, she lived the expat life for 15 years with her family in Australia and Bolivia. In Australia, she ran a mental health unit in the Outback and worked as a rehabilitation case manager. In Bolivia, Carol managed a volunteer organization advocating for orphans, taught at the American Embassy School and raised money for impoverished Bolivians. Her three kids became what Carol proudly calls “global people: passionate, open and creative.” Just like their mom. Sarah is a young professional with a knack for public relations. Her dedication to quality work, love for writing, and passion for people make her a natural fit for the Schuler team. She graduated with degrees in Political Science and Public Relations from Concordia College, with past experience working in events and communication strategies. Some of her more interesting professional highlights include working for the United States Department of State in Washington D.C. crafting media presence and web development, as well as being a marketing coordinator with Mid-America Festivals developing marketing strategies for a variety of large scale events in the Twin Cities. Sarah brings attention to detail and ingenuity to all situations in order to better understand reactions of the public and develop appropriate, effective responses. Cristy has nearly six years of experience in public relations as a specialist in media relations. She has spent a majority of her career helping craft and tell the stories of both national and local clients in industries ranging from consumer foods to home products. Cristy recently combined her passion for media relations with her love of sports and took over as owner of a local Minnesota Vikings fan blog. Cristy holds a bachelor’s degree in journalism from the University of Wisconsin – River Falls and her master’s degree in leadership education – sports management at Winona State University. Jenna is a junior at the University of St. Thomas in St. Paul, MN. She is pursuing a B.A. in Communication and Journalism with a focus in Persuasion and Social Influence and double minoring in English and Sustainability. Her past experience includes six months working as an Editorial Intern at Tiger Oak Media on their Meetings + Events Magazine team and a semester on TommieMedia’s PR and Ad team. 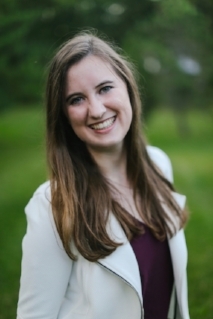 At St. Thomas, Jenna serves as the President of their PRSSA Chapter, sings in the all-female a cappella group, Cadenza, and runs their social media and marketing campaigns. Jenna also loves her job as a barista where she gets to chat with regulars and work on her latte art skills.